It is once again, Earth Day! 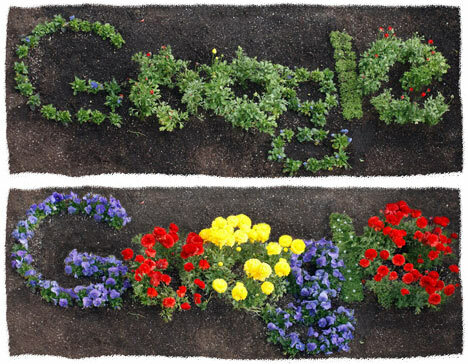 Google created a lovely gif file of flowers blooming and I only have a screenshot of it. No proof however, you can just visit Google and you would see what I mean, also stare at it for a few seconds. Please let not be this day that we only take notice of how the Earth is pleeding for our help. Let it be everyday that we take a stand and do what we can to save the only place we live in. We only have one planet that sustains life. Let's keep it that way.